Tarik Myers from TLC’s 90 Day Finance: Before The 90 Days has dropped a hip hop album. Fans of the show may remember the season one finale when Myers proposed to his girlfriend Hazel via a hip hop song he wrote, titled “Far Round The Way Girl.” Although the proposal track got mixed reviews, that didn’t stop Myers — who’s rapper name is Dirt Dayoh — from dropping a full album on Halloween. 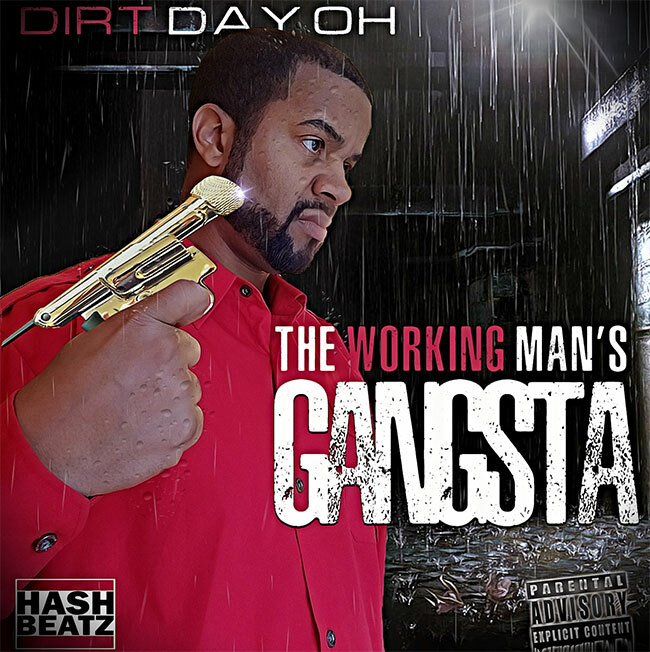 The Working Man’s Gangsta is a 23 track album that was produced by Myers’ brother Nuruddin Hashim, who may know him better as Dean. Dean also created the artwork for the project. I’d say both brothers are equally talented. Each track on the album has a nice flow, nicely written bars and is very well produced by HashBeatz. Some doubted Myers’ ability to be taken seriously. Not only is the album shockingly catchy, but it also has a older hip hop vibe which is something unique in today’s mumbo rapping world. Myers, who is originally from Ohio, currently resides in Virginia. Ohio is home to some pretty amazing hip hop artists including Cameron, Kid Cudi and Machine Gun Kelly. Ohio knows how to grow a rapper and Dirt Dayoh is well on his way to greatness. If reality TV doesn’t work out, he most certainly has a career in music.